This is a re-post from a few years ago, but well worth repeating once again. If you have small outdoor plants you want to save from winter weather, they are the perfect candidate for placing in a terrarium. 1. 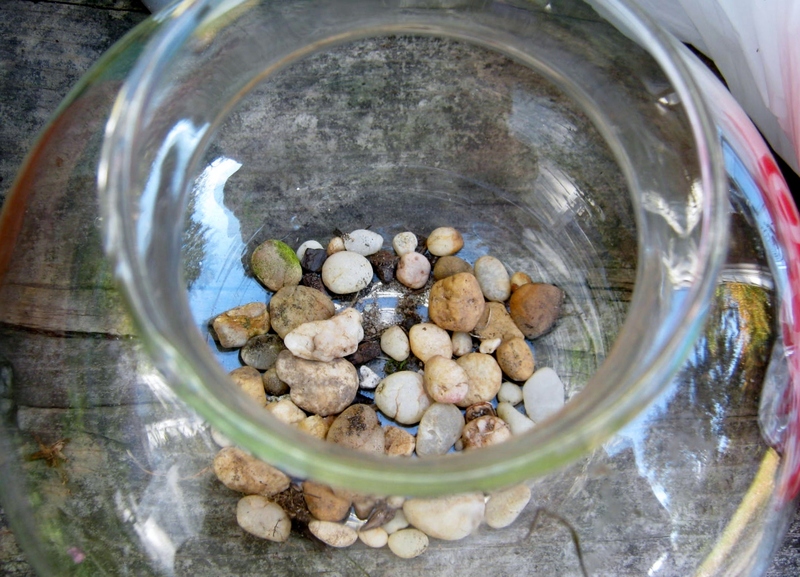 Select Container/Add a layer of pebbles. 2. Add a layer of charcoal. 3. Add a layer of humus/soil. 4. Add plants and mosses. 5. Add lichens, rocks, and small statues. (Mine are elephants from Red Rose Teabag boxes) Water sparingly, rinse excess dirt off of sides. Cover with lid of some type. Enjoy your beautiful terrarium. 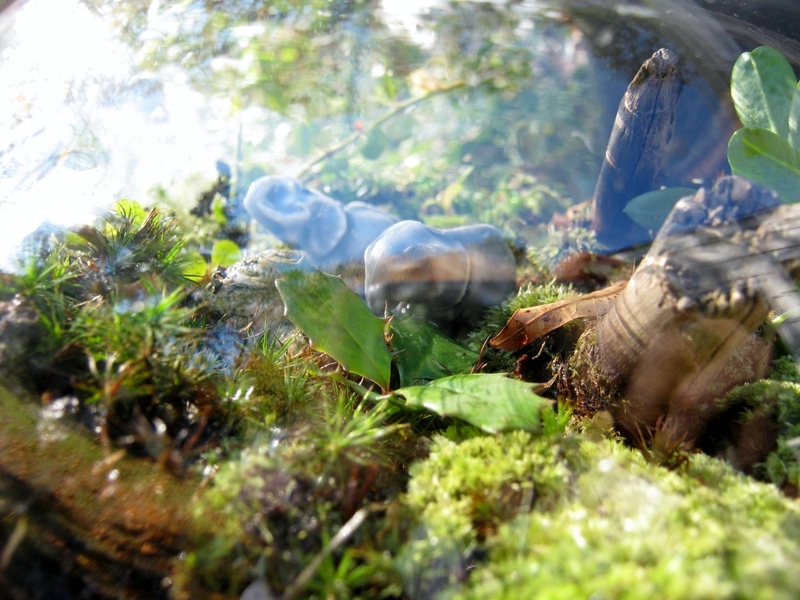 Care of terrariums: Mosses like gentle sun, morning light exposure is best for a terrarium. 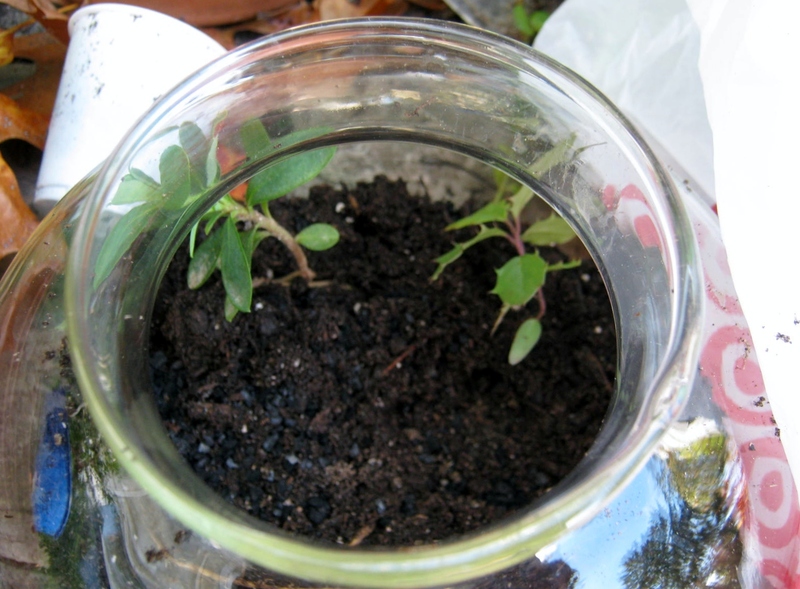 Try to lift lid each day to give terrarium fresh air. 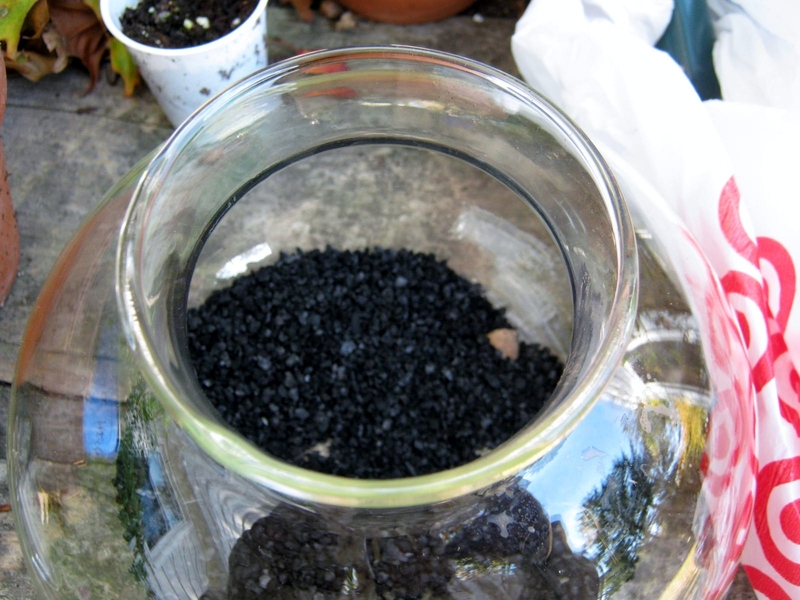 Your terrarium will self-water, if it develops a look of dryness water sparingly once again. I used to have one of those in the early 90s, when they seemed to be very popular, but sadly, it never made it to our new home. They can be very beautiful and easy maintenance. Yes, very easy maintenance. I ‘ve had terrariums last for a few years. Eventually I run into the problem of the plants doing too well and outgrowing the container. 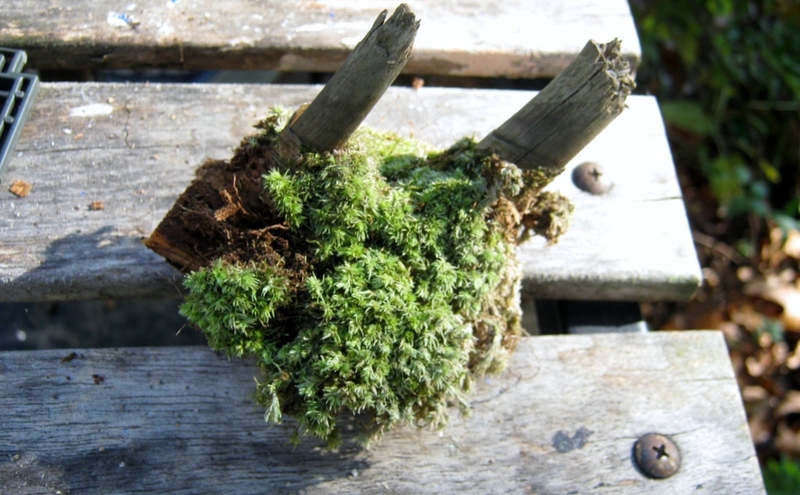 I think I’m going to plant a new one for Autumn and perhaps try crafting some fairy furniture out of twigs to go inside too. Thanks for the comment.